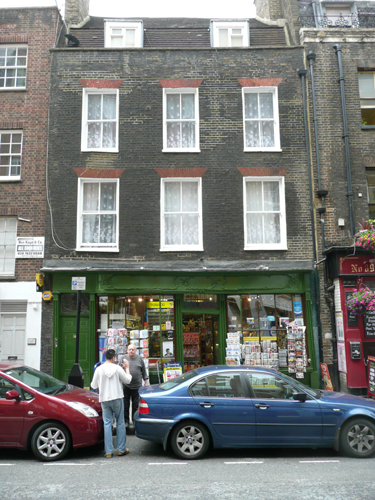 No 88 Dean Street dates from 1791. The first occupant was a Thomas Norman whose trade is not known: he was succeeded by ‘Widow Norman’ in 1792. 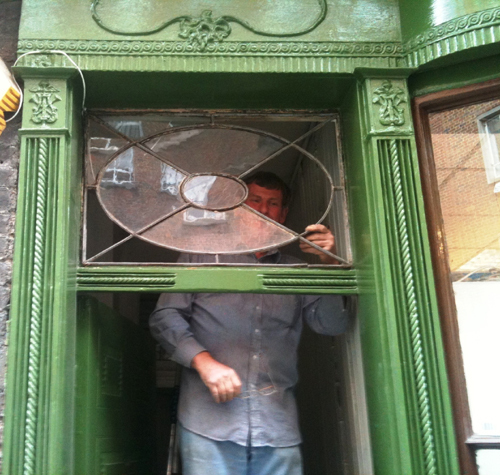 The shop front is the one noteworthy feature of the building. Twenty-seven decorative schemes were found by me on the fascia. The first scheme was a pale stone colour in an oil-based paint. Many stone- coloured paints follow this until a sequence of brownish red layers in the nineteenth century. 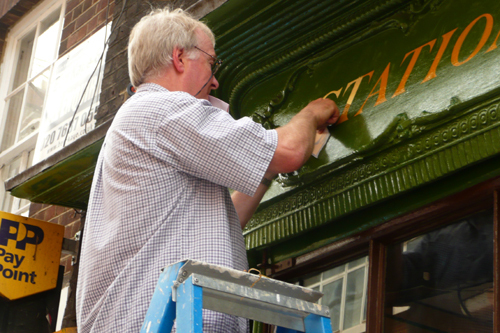 The shop front seems to have been painted every eight years on average. See a short slideshow of the work. 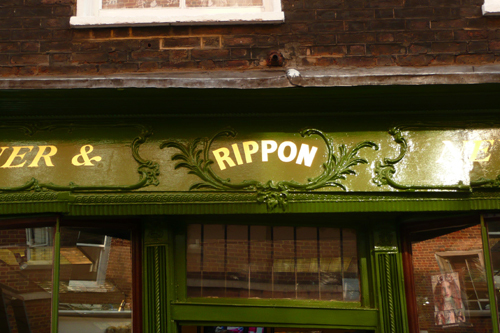 I have also sampled another couple of early shopfronts – 56 Artillery Lane and 58 Artillery Lane. The findings in all three cases was remarkably similar. A nineteenth century one in Scotland has also been analysed. 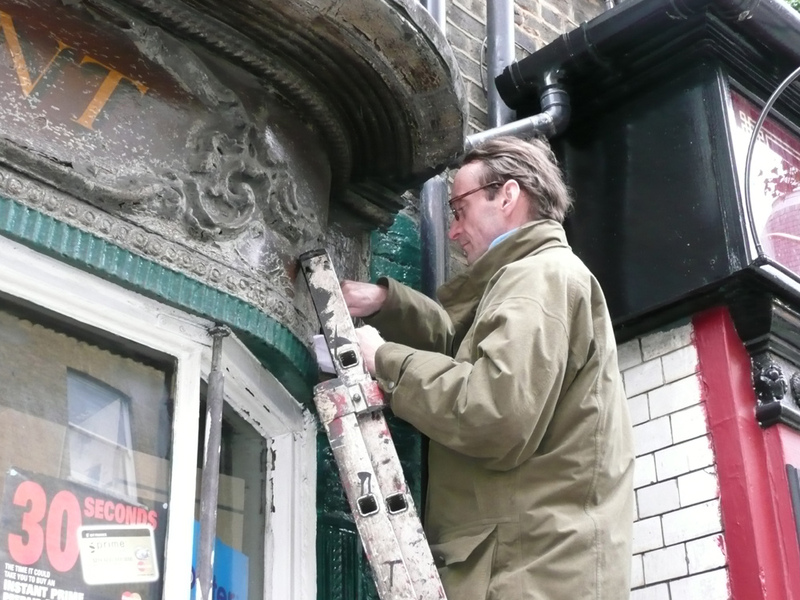 In 2011 the Dean Street project was Joint Winner of the Georgian Group Architectural Awards for the Restoration of a Georgian Building in an Urban Setting. The BBC featured the restoration on the News and a clip can be seen HERE. This is a fabulous page. Want to see every new addition. How kind, Ann. I try and update my site regularly, so keep your eyes open.